Ocean, rising 75 storeys against the Gold Coast skyline, is set to be an iconic Surfers Paradise beachfront landmark, bringing to life a new era in modern living, one where lifestyle, convenience and luxury meet. This thriving new precinct will be home to a five-star hotel, residential apartments, and a vibrant retail precinct, including a full-line national supermarket, cafes and a purpose-built restaurant which will enjoy Ocean’s stunning beachfront vistas. Oversized 900mm x 450mm European tiles flow throughout the kitchen, living and bathroom areas, accentuating the open-plan design and creating a remarkable practicality. Take in the uninterrupted views across the Pacific Ocean as you relax and unwind poolside on Level 33. This residents-only area is serene and spa-like and features a gymnasium, sauna and community room, all with 24-hour access. Step outside your apartment and travel to the vibrant level five podium lifestyle precinct where residents have the opportunity to relax, or entertain guests, at the lively pool club. 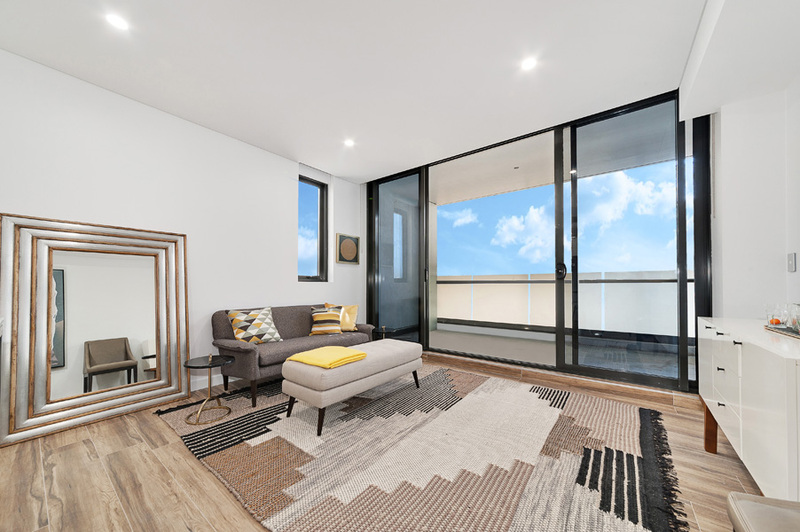 This fun yet functional area will appeal to all lifestyle groups, licensed bar, large open lawn, sunbaking day beds and outdoor dining area on level 5. The lifestyle precinct is designed by highly-sought after landscape architects Urbis. A carefully selected palette of plants with a variety of colours, sizes and textures will create a rich sub-tropical environment and provide a lush green and colourful landscape of character to this dynamic space. There are few places in the world that surpass the combination of lifestyle, location and affordability found on the Gold Coast. There is something for everyone. Lovers of the outdoors are gifted year-round sunshine for days filled with boating, swimming, surfing, hiking and exploring. Those looking for something more luxurious are surrounded by dining and entertainment precincts and high-end retail. Everything you need is at your fingertips at Ocean, which offers an exceptional level of convenience and ease of living, ensuring you never have to leave your home. Ocean residents have access to five-star services and facilities, including the buzzing retail precinct which will be home to a full-line national supermarket, cafes and a purpose-built restaurant which will enjoy Ocean’s stunning beachfront vistas. Start the days with your favorite coffee while browsing through the array of luxury retail shops, enjoy lunch on the first-floor restaurant seated outside breathing in the ocean air and listening to the waves crash in the background, and start the evening with drinks in one of trendy lobby wine bars. Near perfect weather guarantees days are ideal for catching up with friends at a marina, unwinding in the hinterland or simply enjoying the sunshine on the beach. The Gold Coast is renowned for its outdoors lifestyle. It is a place dedicated to the sun, sand and surf with its iconic coastline a picture startling physical beauty stretching over 52km of soft golden sand. Venture inland and explore the beauty of the Gold Coast Hinterland, famous for its unspoilt world heritage sites, charming mountain villages and sweeping coastal views. From world-class events to premier shopping destinations, cosmopolitan living is at the forefront of life on the Gold Coast. The city, recipient of the 2017 IFEA World Festival and Event City Award, is renowned for hosting a diverse range of events and has earned the enviable reputation as the event’s destination of Australia. Spectators from all over the world travel to this dynamic location for events such as the Quicksilver Pro surfing titles, the Vodafone Gold Coast 600 motor race, and the Magic Millions racing carnival. The multicultural nature of the Gold Coast has brought about a deliciously successful food and wine society. The wide variety of restaurants, bars and cafes are world class, with the freshest fine foods and international flavours to tantalise your taste buds. The Gold Coast proudly houses a number of prestigious secondary and tertiary education institutes, recognised on both the national and international stage. Both Bond University and Griffith University are globally recognised for offering world-class, personalised educational experiences, and are dedicated to developing the next generation of corporate and community leaders.